Below is a list of brands we own and operate. Each one was carefully created for its target market and the website users. Target Market: Legal, corporations, collection & debt, foreclosure & real estate, insurance, government and the general public. Overview: ServeNow.com aims to be the most trusted and efficient source for finding and using local qualified process servers. Using local process servers can save users time and money. Utilizing local process servers allows you to work directly with the people who are serving your papers, which increases communication and provides you with better service. ServeNow.com process servers have been pre-screened and meet our listing requirements. This is done to assure the users of ServeNow.com are hiring experienced, professional and courteous process servers. Target Market: Legal professionals, insurance companies, corporations, public institutions, government agencies and the general public. Overview: PInow.com is a directory of local, pre-screened and professional private investigators. This one-of-a-kind directory can be searched by investigation type and location to get the most specific search results. Through exceptional customer service and technology, PInow.com aims to be the most trusted and efficient source for finding local, qualified investigators. Users of PInow.com can select an investigator with confidence, knowing that their case will be handled discreetly and diligently. Overview: AboutBail.com is a nationwide directory of bail bond agents, criminal lawyers, investigators, immigration bondsmen and more. AboutBail.com’s intuitive platform, comprehensive database and resources provide users with instant access to help in their time of need. 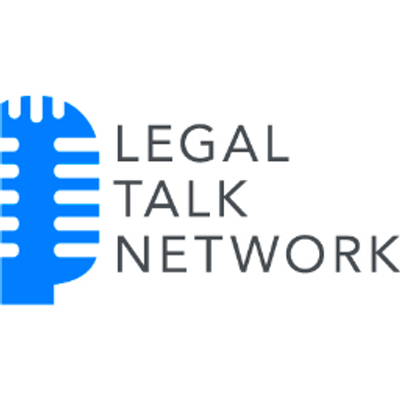 Overview: Legal Talk Network is home to a number of leading legal podcasts. Podcasts on LTN highlight important issues in the legal profession with high profile guests in a talk show format. Overview: ProcessServers.com is one of the oldest and most prominent domain names in the process serving industry. Just like the process servers listed on ServeNow.com, all process servers on ProcessServers.com must go through a pre-screening process. This is done to ensure that the users of ProcessServers.com are hiring skilled and qualified process servers. Overview: Lawgical Sites was launched as a comprehensive websites source targeting the legal industry. Currently websites include templates for process servers, bail agents and private investigators with the anticipated launch of attorney sites mid-2011. These sites provide out-of-the box solutions for these niche markets from a source that has an intimate understanding of these markets. Target Market: Legal, corporations, collection & debt, foreclosure & real estate, insurance and government. Overview: ServeManager allows the customer and the process server to communicate more efficiently. Not only is this an application to help process servers manage their business, but ServeManager is a secure online application where users can assign, track and manage their serves. Overview: CourtFiling provides court document e-filing services for various states as they become available.